Create beautiful sand art statues! Heart Shape Bottle. 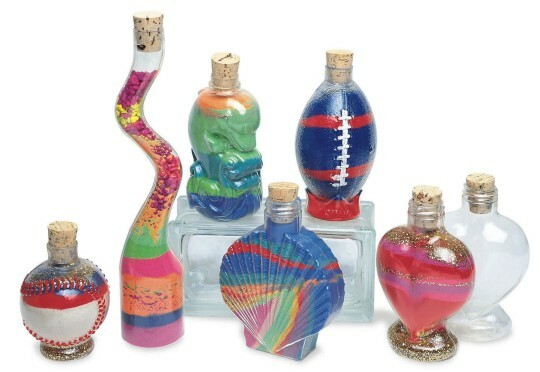 Create beautiful sand art statues with these great bottles. Fill them with our fine or coarse sand (sold separately) for a one-of-a-kind creation. For added flair, add glitter to the sand mix or use our Sand-Lite Glo (sold separately). Perfect as a fun group activity. Includes corks. Each bottle is 3" to 7" tall and holds about 6 to 10 oz. of sand. Packs of 6.